Stephanie Rice, became the golden girl from glamor girl after winning the gold in Beijing Olympics. In a country like ours where we look at for role models, we normally follow people who are accomplished sports person. We definitely don't have as many role models in business community as compared to sports, which also suggests some interesting aspects of our society. Emily Boyd, co-founder & interface designer. She previously founded MatMice, a website which has been used by more than one million children worldwide to create their own webpages. She has received a number of awards for her work, and is a former NSW Young Australian of the Year. Fiona Adler (formerly Harrington), co-founder of www.WOMOW.com.au - a user-generated directory for for Word Of Mouth On the Web. She became the 3rd Australian woman to reach the summit of Mt Everest in 2006. Dr Katherine Woodthorpe is the Chief Executive of the Australian Private Equity & Venture Capital Association Limited (AVCAL), a position she has held since December 2006. 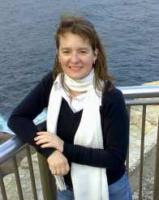 In addition, Dr Woodthorpe has been Chair of the Antarctic Climate and Ecosystems Cooperative Research Centre since 2002, Director of Insearch Ltd since 2000 and Council Member, University of Technology Sydney since 2004. Prior to AVCAL, she worked as a professional Non-Executive Director and management adviser; her areas of expertise included developing strategies for rapid growth and commercialization of technology products and services. Kathie M. Thomas founder of Virtual Directory. She has pioneered the Virtual Assistant industry in Australia and currently manages a network of virtual assistants with members in 16 countries and is moderator for two well-established VA chat forums which have over 1,500 virtual assistant members collectively. She is an industry leader who frequently speaks at public seminars and workshops throughout Australia about working virtually. Kathie was nominated for Australian of the Year in 2008 for her community service related to guiding and mentoring women in establishing businesses at home so they could be there for family. Meg Tsiamis, founder of dLook, Obits, Aussie Bloggers from Sydney, Australia. Her earlier working life consisted of a range of accounting and administrative type roles. In 2000 she set up a finance brokerage which grew until she started with these internet ventures. Susie Hambleton, founder of Kahuna Bay, from Gold Coast, Australia. She is an MBA from California State University and a Bachelors in Management and Marketing. Her prior roles included working in financial sales, then as a business studies lecturer and later moving into corporate communication and marketing. Viki Forrest, CEO of the ANZA Technology Network. Originating from Sydney, prior to this she has worked for the Australian arm of Digital Equipment Corporation for many years. In the mid-1990s she headed up DEC’s 300-strong sales support team in Asia Pacific. In 1999, she joined an Australian technology startup as the VP Marketing, and was part of the company’s US team, based in San Francisco. Grainne E. Kearns, General Manager, enterprise infrastructure services of Sensis. PG from HBS, she joined Sensis after working in Telstra, one of the country's biggest consumers of data storage equipment. She is probably exception to this list, but considering her role, she seems to be playing a vital role in the emerging fight of local search market between Google and Sensis. I'm sure there are other women which I'm not aware of. So if you think that I have missed some of them, then please let me know via comments/email and I will update this list. Silvia Pfeiffer, CEO Vquence providing services in social video metrics. 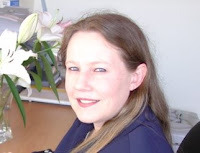 She is also the vice-president of SLUG (Sydney Linux Users Group) and the president of the Annodex Association, a non-profit organisation created around the open source technology Annodex. She came to Australia in 1999 as a just-graduated PhD student in digital media. 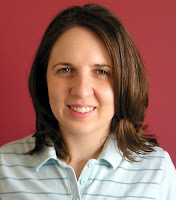 She joined the CSIRO to work on automated audio-visual content analysis algorithms for video. Thanks for your post. I can't understand why but yes somehow it is more inspiring to see other successful women.